According to the court’s opinion, the parties had two children, born in 1999 and 2003. In 2010, the parties entered into a settlement agreement under which the parties would share residential custody of the children, alternative custody each week. the willingness of the parent to ensure meaningful contact between the children and their other parent. 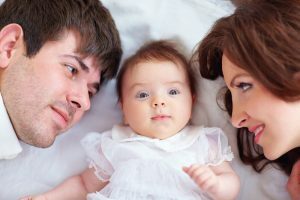 The court did not get into the specifics of each factor; however, after weighing the factors the court concluded that Mother would be awarded primary residential custody and Father would be given visitation rights. Are You Involved in a New York Child Custody Dispute? If you are currently going through a New York divorce, or are seeking a modification to a New York child custody agreement, we can help. At the Law and Mediation Offices of Darren M. Shapiro, we help parties through divorce mediation or clients who are facing all types of New York divorce and custody issues navigate what can too often be a frustrating and confusing system. We have many years of experience assisting our clients in all types of New York family law matters, and provide new clients with a free consultation to discuss how we can help. To learn more, call 516-333-6555 to schedule a free consultation today.